I failed my second OSCP exam attempt. This is more just a post detailing my new experiences the second time around. Additionally, I’ll be adding to the take-aways from my first attempt. Hack The Box is an online platform allowing you to test your penetration testing skills and exchange ideas and methodologies with thousands of people in the security field. Click below to hack our invite challenge, then get started on one of our many live machines or challenges. I failed my first OSCP exam attempt. 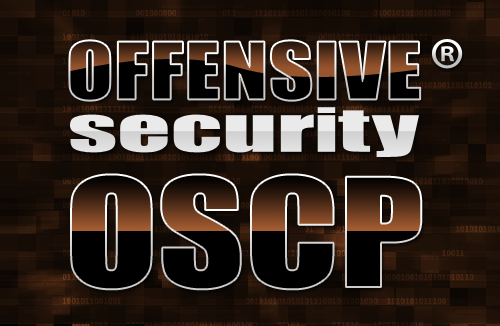 This is more just a post detailing my experiences and take aways from this OSCP exam attempt. WARNING: There will be spoilers to ch4inrulz: 1.0.1 VM from Vulnhub. This is your warning! If you wish to penetration test this machine, do not scroll down much further. The ch4inrulz: 1.0.1 Vulnhub VM was rather fun to dissect. There were some tricks embedded into the VM to throw one off which certainly got me for quite a bit. You may be attempting to register your bot with the backend of Wire's secure messaging service. On most of the Wire github repositories for the various bots that have been developed, they all make mention of adding the "Don" bot or the "DevBot" in order to register your bot with their service. Unfortunately, the "Don" bot as far as I am aware has been moved to Wire's Secure Messaging Teams. The "DevBot" I don't really know all that much about. So you still might be wondering, how on earth do I register my service? Well during my scouring of the Wire repositories on github I came across a few shell scripts created by Dejan Kovacevic whom has created the Java based bot. WARNING: There will be spoilers to Blacklight VM from Vulnhub. This is your warning! If you wish to penetration test this machine, do not scroll down much further. The Blacklight Vulnhub VM was a rather short and simple system to pen test but may have a few tricks to it as well as rabbit holes. There were a few flags but I just wanted to obtain root. As such, the flags will not be listed in this particular walkthrough. WARNING: There will be spoilers to Basic Pentesting 1 VM from Vulnhub. This is your warning! If you wish to penetration test this machine, do not scroll down much further. WARNING: There will be spoilers to Bob 1.0.1 VM from Vulnhub. This is your warning! If you wish to penetration test this machine, do not scroll down much further. WARNING: There will be spoilers to BSides Vancouver: 2018 (Workshop) VM from Vulnhub. This is your warning! If you wish to penetration test this machine, do not scroll down much further. Boot2root challenges aim to create a safe environment where you can perform real-world penetration testing on an (intentionally) vulnerable target.